In our house, the holidays are huge family events, focused around our favorite Guatemalan traditions. Over the years, I’ve tried to make our celebrations a little more earth-friendly. I’ve shared these tips with friends (all from different backgrounds) and we have found creative ways to incorporate our concern for the environment into our family traditions. First things first, the food! Whether you’re serving up tamales, lechon, or pavo you want to make sure that you are not adding toxins to the feast. Unfortunately, much of the beautiful pottery that comes from Latin America (and other parts of the world) has been made with lead based ceramic glazes. Also, crystal, by virtue of being crystal, is a combination of lead and glass. Lead also can be found in pewter dishes. Lead is a potent neurotoxin that can reduce IQ, along with a series of equally awful health impacts, and its effects are essentially irreversible. Lead can leach from ceramics and drink ware into food, especially if you cook or store food in these types of containers. Sadly, lead can also be found in many other places in the home; for more details visit the EPA’s webpage on lead. One way to reduce your families’ exposure to lead is to opt for lead-free ceramics or, even better, inexpensive glass drink, oven and tableware like Pyrex, Anchor Hocking or Duralex. Of course, many of our ceramics are cherished family heirlooms. Why not repurpose them as decorative accents? They can be used as centerpieces with flowers, or could even hold Christmas cards. When buying ingredients for your holiday feast, try to choose organic when possible. Because organic food is so pricey I use the Environmental Working’s group list of fruits and vegetables that carry the smallest and greatest amounts of pesticides. This list helps me figure out which foods I should try to buy organic and where I can save by buying conventional. I’m also fortunate to live in an area that has several small organic community gardens and farms nearby that provide inexpensive fruits and vegetables. If your holiday traditions include a Christmas tree, then you may be trying to decide between real or artificial. I’ve heard pros and cons for both but ultimately; real trees are the best choice. They are an even better choice when bought from local growers. Real trees help reduce carbon dioxide, on a small scale, but every little bits helps. They clean the air in your home and don’t contain plastic related toxins like some artificial trees do. Make sure to shake off your tree before bringing it inside and sweep loose pine needles off the floor where little hands might get to them. While Christmas trees don’t contain very high levels of pesticides, most growers use them and limiting the spread of the pesticides in your home is always a good idea. Explore more reasons on why to choose real versus artificial and here’s information on low-spray and organic trees. In our home we limit the use of Christmas lights to just the outside of our house, and turn them on only for a short periods of time. We prefer to use LED lights because they are more energy efficient, saving us money and reducing our carbon footprint. Not using the lights indoors helps keep energy consumption low. Because Christmas lights usually contain lead and other toxins, and can create a fire hazard, it’s better to avoid using them, if you can. Inside we decorate with homemade ornaments, ribbons, candy canes, popcorn and cranberry garlands, and reusable Victorian tinsel for sparkle. During the holiday season we can make better choices, for example when buying toys as gifts, avoid those that may contain significant toxins. Healthy Stuff and Healthy Child Healthy World both provide great guidelines and information. 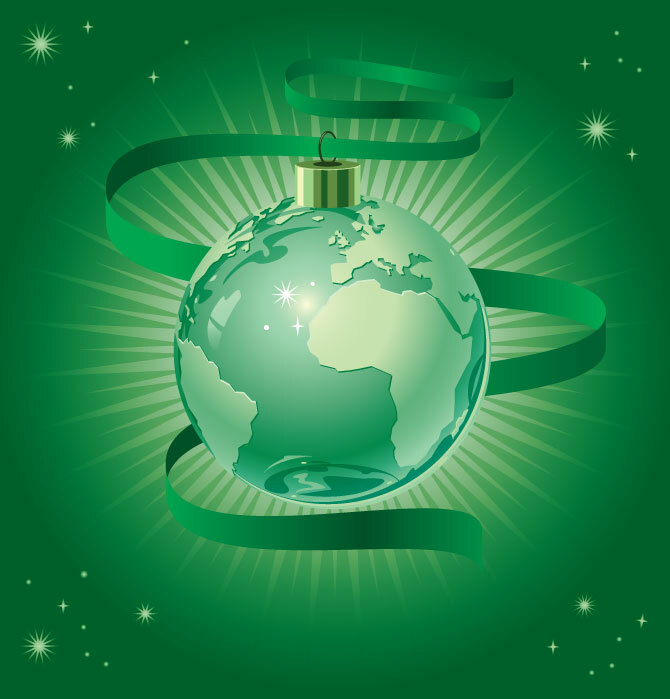 We can also make sure that we share our concern for the environment during the holidays and year-round, by connecting with efforts like UCS’s Ship it Green. When we buy local and earth-friendly, we are changing our environment, at home and beyond, for the better. What a great way to celebrate this special time of year! Nicole Hernández Hammer is a sea level researcher and the assistant director for climate change research at the Florida Center for Environmental Studies at FAU. She is also a consultant for the Union of Concerned Scientists.